This past Sunday, I had a discussion with a few 4-6th grade students in my Sunday school class about sharing the Word of God with other people. I asked them to tell me a few different ways that we can share Christ with others. 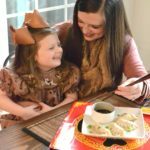 They were very quick to tell me that there are numerous ways to do it – and very simple ways to do it at that. They were full of wonderful examples and fabulous ideas. They’re very creative! But then I turned the tables a little bit on them and elevated the conversation. “So, why do we have so many excuses as to why we don’t do all of the things you all mentioned?” I said. There was silence. I could tell the wheels in their heads were turning. I may have struck a nerve, but the biggest nerve that was struck in that room was my own. They had several different answers to my question, ranging from things such as being intimidated, fear of rejection, not feeling qualified, fear of offending, etc. It seemed to me that a lot of our excuses (including in my own life) boiled down to having some sort of fear about something. I have been allowing fear to sweep over my life, telling me over and over that “I can’t”. “I can’t do this, because…”. How many times have I said this in my life? It’s a bunch. Too many times, to be sure. I am not able to do everything. Some days, I feel like I literally just can’t even with many of the obstacles that life throws at me, but I serve a loving and mighty God who CAN, and He fills my life with hope and strength! 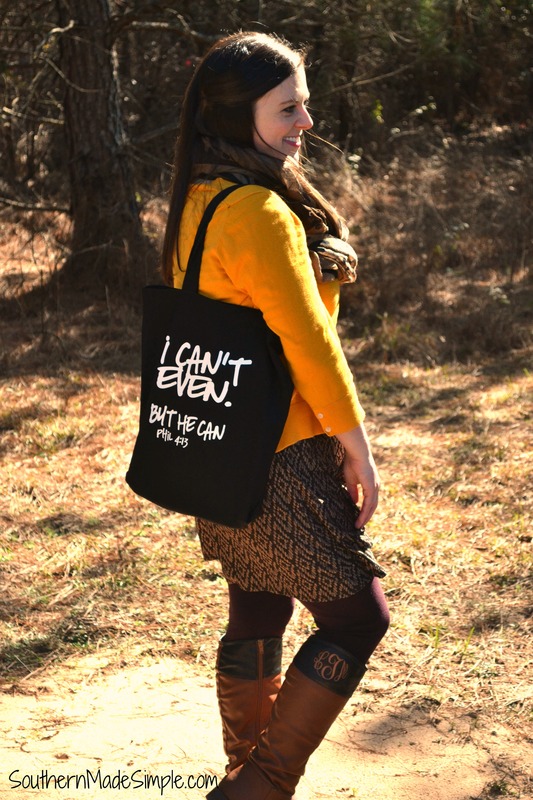 When I saw this “I can’t even, but He can” tote bag in their shop, I just knew it was something that I had to share with all of you! 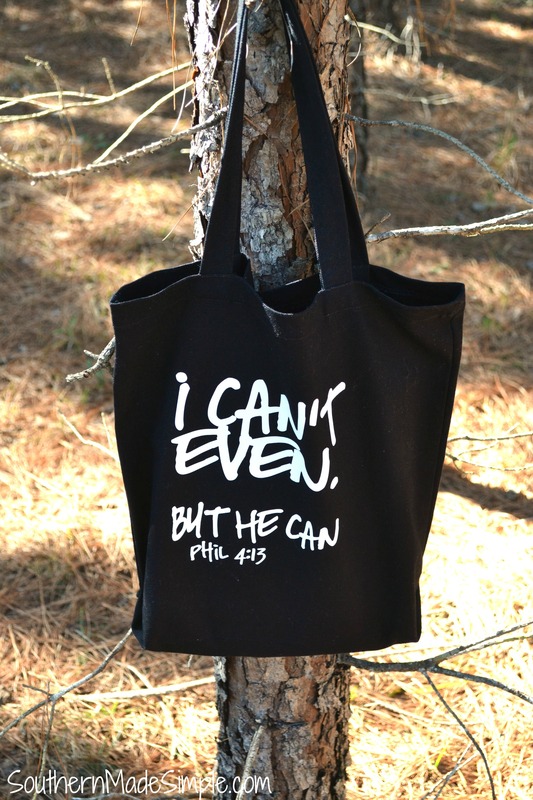 Philippians 4:13 says, “I can do ALL things through Christ who gives me strength!” This tote will serve as a reminder of God’s love and faithfulness to myself and to anyone who I may come in contact with. Isn’t that just awesome?! Ah! I just can’t even! Isn’t she the sweetest? I can’t love her perfectly, but He can. 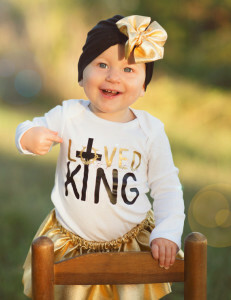 I can’t fill her heart with immeasurable joy, but He can. I can’t always catch her when she falls, and I can’t heal her heart from the pains of this world, but folks, I serve a God who CAN! Thank you, OriginaliteeToo, for helping share this message with the world. 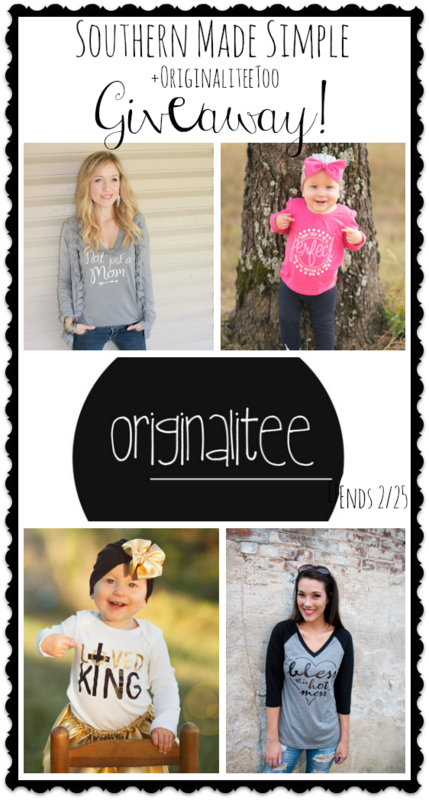 OriginaliteeToo offers beautiful tees for women and children that are fun, inspirational, and even a little bit edgy! They have some fabulous totes as well. 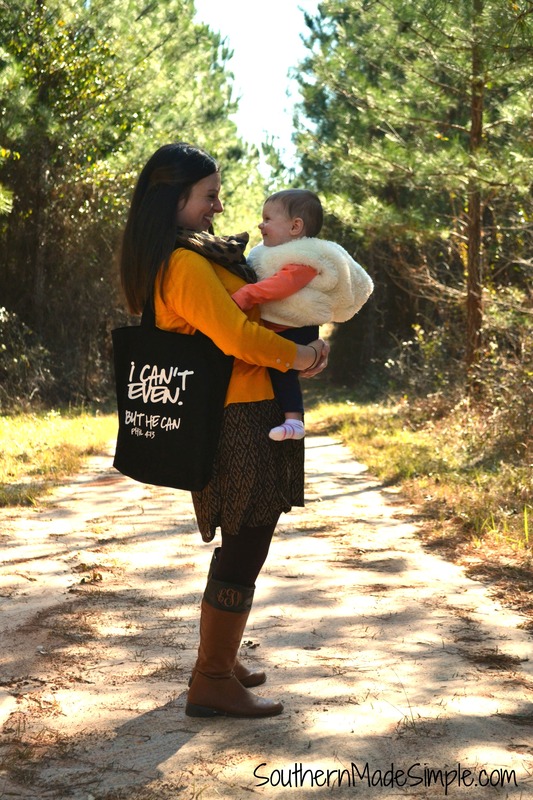 You can purchase the “I Can’t Even” tote for just $18 here. 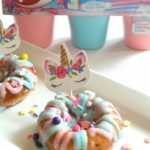 Here are a few of my favorite items from OriginaliteeToo. 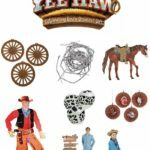 You can learn more about each item by clicking on the pictures below! Open to residents of the United States 18 and older. 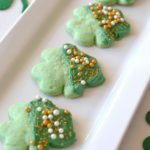 Limit one entrant per household. Giveaway will end at 11:59pm CST on 2/25/2016. Winner will be drawn using Giveaway Tools. Entries will be verified. Winner will be contacted via email and will have 48 hours to respond before the prize is forfeited and a new winner is selected. 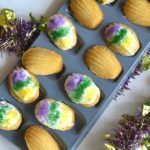 Southern Made Simple is not responsible for prize fulfillment. Did you miss a chance at entering this great giveaway? No worries! 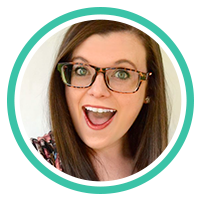 Head on over to my current giveaways page and enter to win something awesome there! I would choose the BeYOUtiful Tote Bag. I would like the Throw Kindness Around Like Confetti, Tshirt,. 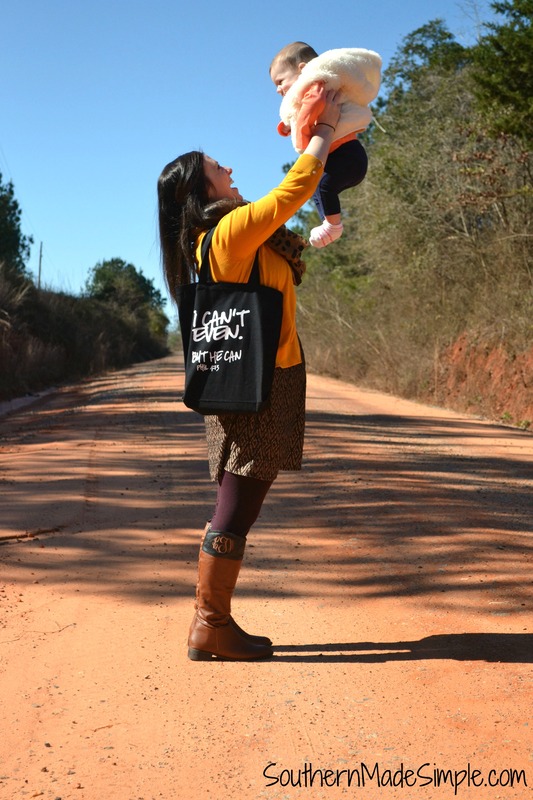 I love the “If God is for us” shirt, and I would choose the “I can’t even, but He can” tote! 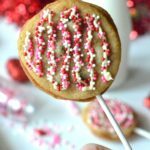 Love this Etsy store, and I’ll definitely be bookmarking it! 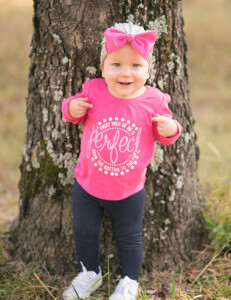 My favorite item is the Not Just A Mom, Tshirt, Inspirational, Mother, Graphic Tee! I love the BeYOUtiful Tote Bag! 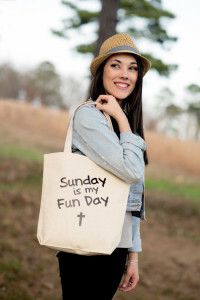 I Love the tote bag..and I also am always looking for ways to share my faith! BeYOUtful tote is really cute. I would pick the “I can’t even” bag. It speaks to my season of life right now. I would choose the Monogramed Weekender Tote. Hmm, I haven’t seen that one! I’ll have to double check to see if I can find it, because I love monograms! I love the Breast Cancer Awareness Onesie. It hits close to home. I love the personalized owl silhouette tote and that’s what I would choose! We are crazy about owls! Started with owl bedding for my little one and now it’s all owl everything! I would choose the Crazy Cat Lady Tote Bag. I would love the red owl tote. I love the BeYOUtiful, Tote Bag, Inspirational, Canvas, Simple, Natural, Modern, Minimalist! 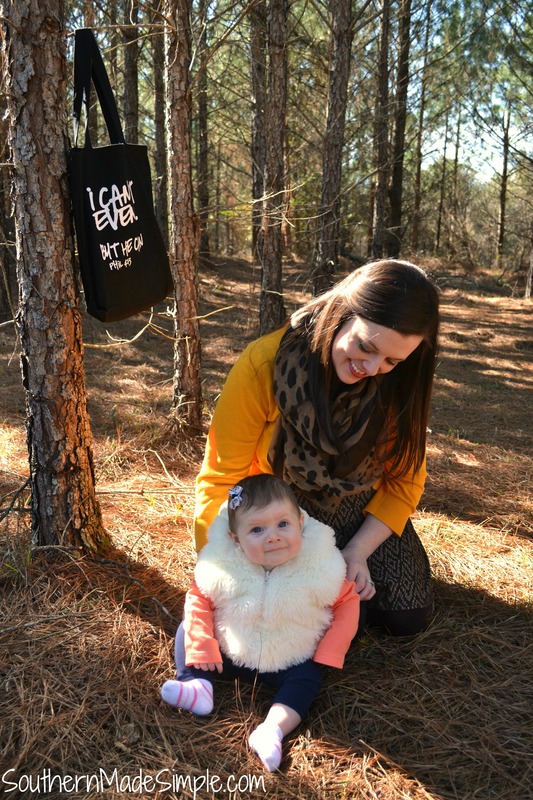 I love the Can’t Even and BeYOUtiful Tote Bags! I like the Faith tee shirt. I also like the He is Risen child’s shirt. I would get the crazy cat lady tote! I love cats and have one on me right now. She agrees it is perfect for me. My favorite item is the Crazy Cat Lady tote! I would also pick that if I won! My favorite item is the Make Your Life a Story Worth Telling tshirt. I like the I can’t even tote! I would pick the crazy cat lady as I know just the crazy lady to give it to. Thanks! I like the girls easter tee shirt. By His Wounds We are Healed. Thanks so much for the chances to win. 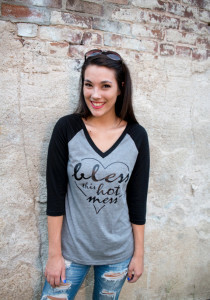 I like the “Bless This Hot Mess baseball tee. Thanks for the chance to win. I can’t but He can. What an awesome Bible verse. Right now the story of my life. I love the Not Just A Mom tote- It actually would mean so much to me right now- with dealing with all the stresses of being a stay at home mom I forget a lot that I am more than a mother- I’m a sister, a daughter, a fiance, a friend and so much more and I have to try and remember that- I love my baby boy so much well toddler now- 17 month old and love being able to be home with him but I also lately have been feeling like I need to get out of the house a little more to help remember that I am a mother but I’m also so much more. I would choose the Teacher Gift Canvas/Personalized Tote Bag-Owl Silhouette & Name if I won this giveaway. Mommin’ Ain’t Easy Slouchy Tshirt is my favorite product. I like the Not Just A Mom, Tote Bag. Lots of fun stuff. Proverbs 31 Wifey, Graphic Tee, Piko, Tshirt, Christian. I love the Crazy Cat Lady Tote Bag!